Tell us a little bit about G&T Paving and what type of concrete work you do. My dad started the company roughly around 49 years ago and we do a lot of paving work. That’s our primary line of work. We also get into the utility work and do a lot of concrete work. It’s a mixture of things that we do. 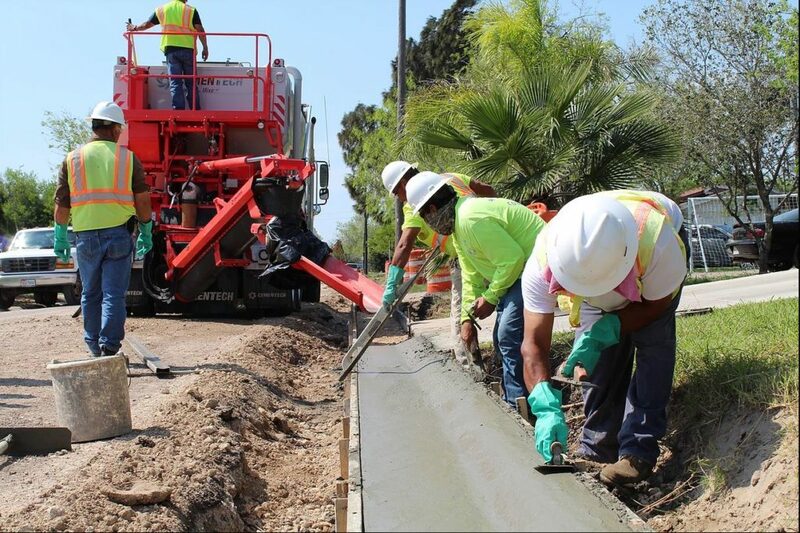 We do a lot of city projects and do a lot of repair work for the City of Brownsville, Texas. And, for the public utility board which does a lot of utility work. So, we get into a lot of their repair work. How did you learn about volumetric mixers? I became interested in the volumetric trucks when I was up visiting some people upstate in Dallas, Texas. I saw a company that was out there doing some of the concrete work and I saw one of the trucks there. I didn’t know what a volumetric truck was when I started so I started looking at what they were doing, and I was interested in the concept of how they were doing their concrete work. When I came back, I started looking into them and finding out a little bit more about what exactly a volumetric truck was. That’s when I discovered the YouTube videos and all the information. How did you come to choose Cemen Tech? I looked into it and saw several different trucks and companies that built these volumetric trucks. I started researching a little more and got into the Cemen Tech one and did my homework, so I was very interested. What we were doing, we do a lot of repair work which has us to move around to several different locations during the day. What I saw in the trucks was that we were able to move to those sites without having to get another truck. It was quick. We were able to be versatile with it. We weren’t wasting any time waiting for a barrel mixer truck to come to our job site. More flexibility and we’re able to get more done during the day with being able to have our truck on site. We’re not waiting around with our crews. 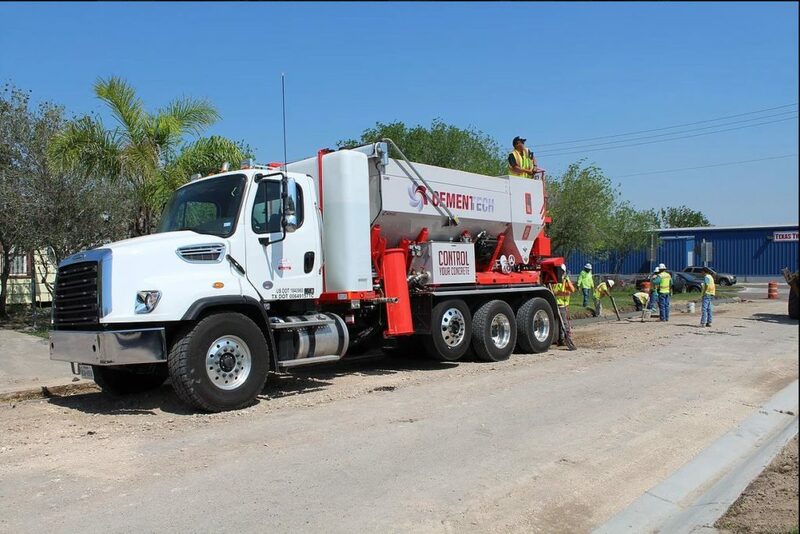 We get there, we form, we get the job prepped and ready to go and we have our truck already on site ready to pour that out. The other way we used to do it before, the old way, was [we] were getting those areas prepped and we couldn’t get a cement truck out there in time and our schedule was completely thrown off. So, we’d have to come back to the site a second time and even sometimes a third time because of the way the schedule would go with a barrel truck. There is no waiting here. We are there. We get the job formed up, ready to go, and we’re ready to pour it at the same time. I think that was the whole point to save time and be able to move our schedule a little quicker because I was finding out we have had these several contracts for the last couple of years, and we are just finding out that we are wasting so much time having to do the work three times instead of going in there and getting it done once. When did you make the decision to add a second mixer? It got to the point that we saw the first truck and within three months we were able to order another truck because I saw the production that we were getting from the first truck. We got the second truck and we already have that one online pretty much putting it into our schedule and we are starting to see a difference. Our time savings have been cut in half. I can see the production wise that we have double our production within the last six months. Did you have any concerns or hesitations about switching from traditional barrel mixers to volumetric? The quality of the mix, that was one of my main concerns when we purchased the truck. Were we going to be able to meet that consistent quality mix? It was important to us because we do our own work. And we want to make sure what we are doing is top quality work because I do not want to be pulling out unsatisfactory material from our job site. I looked at it and we have designs that were designed for this truck with our different designs and with our designs have met specs or better than what is called for. What I mean by that is that if they were calling for a 3,000 PSI concrete, I am breaking my cylinders at 3,800 and 3,900 consistently. I haven’t seen bad breaks in any of the test results that we have gotten, and I am very satisfied with that because I know that we are producing quality mix. Of course, if you produce quality mix you are going to produce quality work. How has a volumetric mixer helped you with everyday mixes? The fiber was one of the main things that I was looking for in the mix that we were trying to design. When I talked with my rep from Cemen Tech, I asked him how we were going to be able to do that because I need that to be in my design. Well, he told me about the fiber chopper that could be purchased with this truck or be an add-on for my selection. I really didn’t know the concept of it and how it was going to work because I was used to the old barrel trucks. They usually would dump a bag of fiber into the barrel truck and mix it on the site when it was being mixed. The quality of the mix when it would come out, it was rough. You could see the fiber. It didn’t finish out as good as what I am seeing now. When we got the Cemen Tech truck and the fiber chopper, I learned how fiber is supposed to be mixed into the material. With the chopper, it chops it up into little pieces. You hardly ever see it in the finished product. You know it’s in it because you see the material going into the mix but when the guys are finishing it up, it’s hard to see it. I had to instruct them and show them, “Hey! This is what is happening, this is what the chopper is doing, and this is what a real mix that you are looking for.” And, they are very impressed with the fiber chopper on that truck. How does a Cemen Tech unit help with the curb and gutter work you handle? It all depends on what we are doing. Long sections, long streets where we can use the curb machine. We are using our curb machine to do that and what I like about the truck is you can add or deduct a little bit of your water content to make the actual mix that actually works better for the curb machine. When we are doing hand curb that is also a problem because you have to form everything and when you pour it, you have to have the right moisture. If you have the wrong moisture the curb will not stay up. It won’t hold up. The moisture has to be right and the slump on the concrete has to be right if you are doing hand curb because if not your mold doesn’t hold up. And the crew struggles with that because it takes them more time. It is more work effort for them to have that moisture not right. With this truck we can adjust it. If we can see that we have too much moisture it can be the touch of a button you can bring that moisture down or you can bring it up either way. Every job site is different. Time of day is different. If we are pouring at noon and it’s hotter, the crew wants a little more water we can dial it in there and give them what they want. That way they are comfortable, and they can produce the quality of work that we want them to produce. When I looked at that I thought it was something that I’d like to grow into if we could manage it. I think we could handle that, and we didn’t have a problem. I was really surprised when our instructor came to help us learn the system, our people picked it up very quickly. I was really surprised how quickly we were able to pick it up and be able to make the adjustments that we had to make. I am a little old school so to me, I am not the tech savvy guy, but my younger generation here anytime we need to get into it, they are on it. They can fix that problem, or they can figure out what is going on with the system. We really haven’t had any problem with it. For the most part, anytime we have had a problem we have been able to adjust and pick it up pretty quick. I am very satisfied with that part. 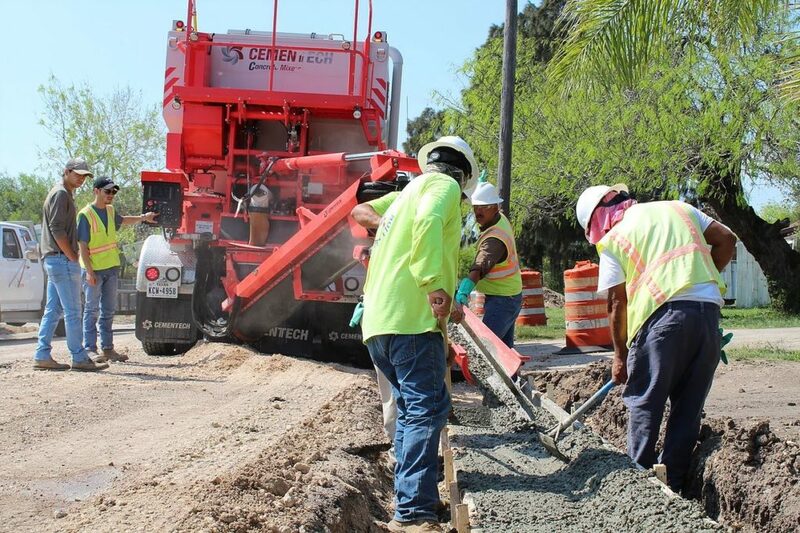 SERVICES: Paving, curbs and gutters, utility, and sidewalks.